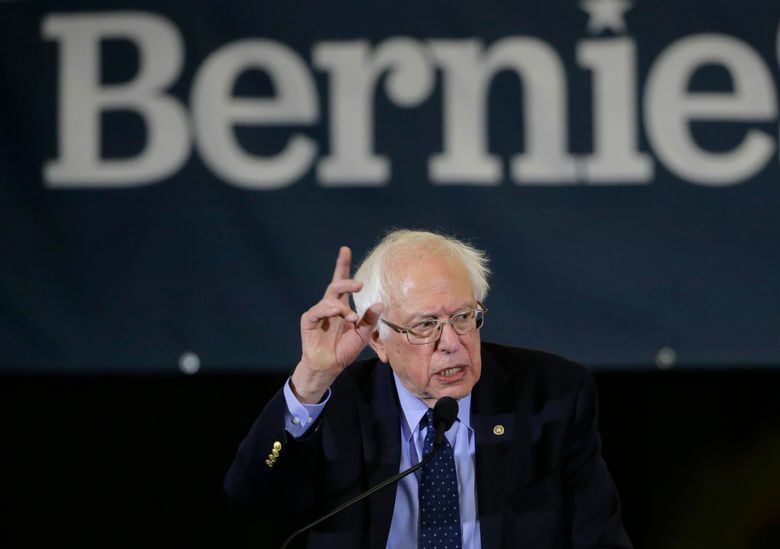 WASHINGTON (AP) — The “Medicare for All” legislation that’s become a clarion call for progressives has two little-noticed provisions that could make it more politically perilous for 2020 Democratic presidential candidates. Embracing the changes will give Democratic candidates a boost with the party’s liberal base in a wide-open primary fight. But such divisive issues could complicate things for an eventual nominee seeking voters in the middle. President Donald Trump has denounced Medicare for All as “socialism,” and immigration and abortion are issues that energize Trump’s political base . But Kristin Lynch, a spokeswoman for 2020 Democratic hopeful Sen. Cory Booker of New Jersey, said the senator believes “it is imperative that all residents of the U.S. have affordable, quality health coverage,” including “comprehensive reproductive care.” Booker is a co-sponsor of Sanders’ bill. Other Democratic senators running for president have also signed on to their Vermont colleague’s legislation: Kirsten Gillibrand of New York, Kamala Harris of California, and Elizabeth Warren of New York. Their offices did not respond to requests for comment. Beyond the Senate, a spokeswoman for 2020 Democratic candidate Pete Buttigieg said he supports lifting current restrictions on taxpayer funding for abortion. Buttigieg, mayor of South Bend, Indiana, generally supports covering immigrants even if they are in the country illegally, but she said he’d have to see specifics. Neither Sanders’ bill nor the similar measure in the House has a realistic chance of becoming law, with the Senate controlled by Republicans and Trump in the White House. But the House bill will get committee hearings this year. So far, the debate has centered on the bill’s promise of quality care with no premiums or copays versus its potentially huge costs. Adding immigration and abortion take it in a different direction. The words “immigrant” and “abortion” don’t appear in Sanders’ bill, which is expected to be re-introduced soon, or in House legislation from Democratic Reps. Pramila Jayapal of Washington and Debbie Dingell of Michigan. Instead the legislation refers to U.S. “resident” and “comprehensive reproductive” care. Both Medicare for All bills would extend coverage to every U.S. resident, delegating the health and human services secretary to define residency. The House bill also prohibits denying benefits because of “citizenship status.” Both bills call for steps to deter immigration for the “sole purpose” of getting free medical care. That’s different from former President Barack Obama’s health care law, which limited benefits to U.S. citizens or nationals, and “lawfully present” immigrants. The nonpartisan Migration Policy Institute estimates there are about 6 million people in the U.S. without legal permission who are uninsured. “Everyone, no matter who they are or what services they need, must have access to quality affordable health care,” said Dingell. She’s looking to start conversations across the country to build a consensus. Sanders’ and Dingell’s offices confirmed that abortion would be covered. Supporters of abortion rights say that’s long-overdue recognition of the power of women in the Democratic Party. “We are not going to split hairs forever over your immigration status,” said Sonya Schwartz of the National Immigration Law Center, which advocates on behalf of immigrants. But R.J. Hauman of the Federation for American Immigration Reform, which supports immigration curbs, said Medicare for All would just become a “pull factor,” drawing more immigrants to the U.S.